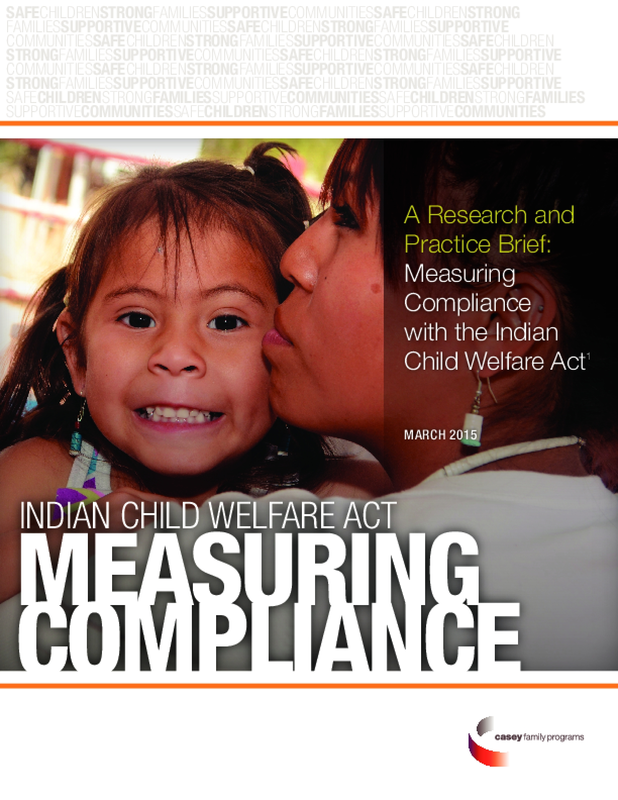 This research and practice brief by Casey Family Programs is a useful resource for states that seek to document compliance with ICWA. We document different approaches for measuring compliance and make some recommendations including increased resources to support and to develop training mechanisms for child protective services and judicial staff. Standard measures for compliance across jurisdictions would be beneficial. Copyright 2015, Casey Family Programs. All rights reserved.